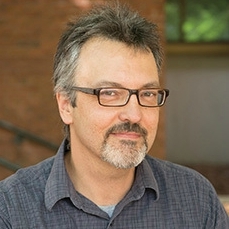 Baltimore City Water Supply Aging Infrastructure— Panos Charalambides will teach students from ENME 220H how to use their technical engineering knowledge to improve their communities. Students will learn about critical water treatment issues in Baltimore City, as well as create and use historical and engineering data to develop model and non-model pipe failure estimates. They will then be given the opportunity to help Baltimore City engineers with their efforts in maintaining the city’s water supply network system. 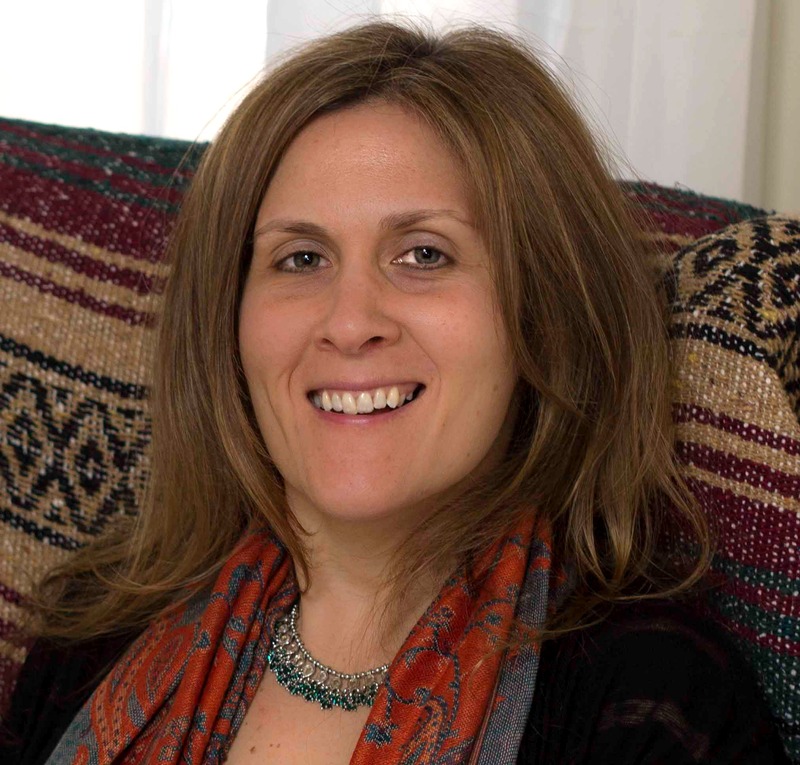 Critically Engaging with Heritage Ideas and Issues in Critical Heritage Studies— Michelle Stefano will lead students from AMST 420 to explore the complexities of heritage-related issues at the local, national and international levels. Students will participate in discussions about readings regarding cultural landscapes, international cultural policy and community outreach and cultural representation. They will meet with heritage professionals by attending a lecture and discussion at the National Museum of the American Indian and Smithsonian Center for Folklife and Cultural Heritage. Understanding Factors Influencing Literacy in Baltimore Communities— Elaine MacDougall’s ENG 100P/ENG281 class will work with the Reading Partners Program, a tutoring intervention, to collect data about factors influencing literacy achievement for elementary level students. Students will interview parents about reading practices and develop a routine to implement the “Read 15” initiative, which encourages students to read for 15 minutes a day. They will also think critically and reflect on their service and the role of the community in increasing literacy rates in Baltimore City. 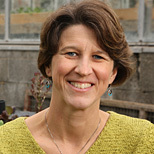 Introduction to Food System with Civic/Engagement and Food Literacy Collaborative— Jill Wrigley will bring together students from INDS 232 and the SUCCESS program to study the core components of the food system and the challenges it presents to public health, environmental sustainability, social justice and equity. The class will also introduce students to public entities, institutions and community members who are working to better the food system. Students will read about and participate in interventions, including working in the UMBC Community Garden, making plant-based, whole food recipes and preparing fall plantings. 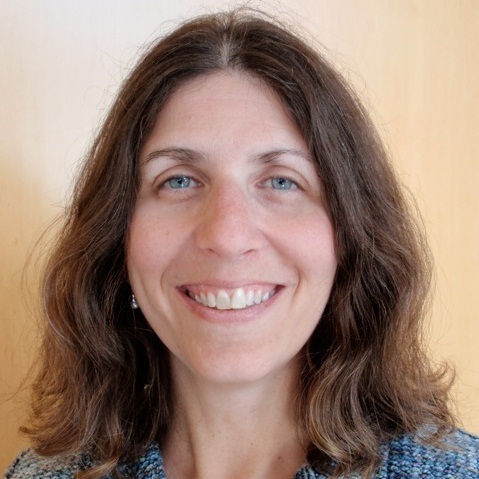 Applied Learning Experience Summer Forum— Michele Wolff will lead this Applied Learning Experience (ALE) that will bring faculty and staff together to design a program for improving student success. The course participants will explore best practices related to ALEs, design an initiative that will integrate ALEs with existing courses to enhance student success and research potential funders for an implementation grant. The course will culminate in drafting a proposal for grants to fund the ALE course integration. 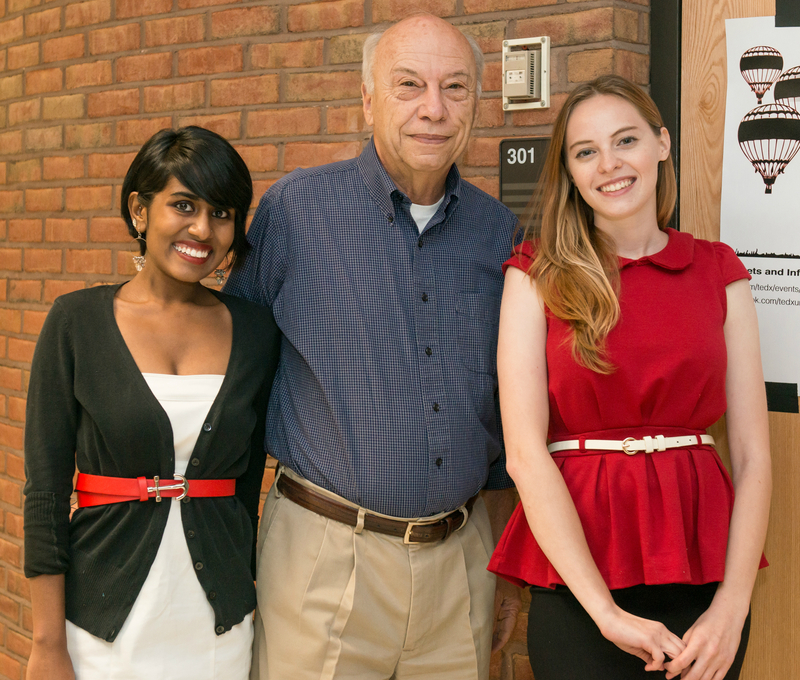 Service Fest— Undergraduate students Rosa Rada, Michael Allen and Jaelyn Bos will work with the Shriver Center to host a service fest to encourage UMBC students to become involved in community service. The service fest would introduce students to community groups in the area and foster ties to Baltimore City. Students will also be encouraged to sign up for the PRAC-095 course to further reflect on their service. 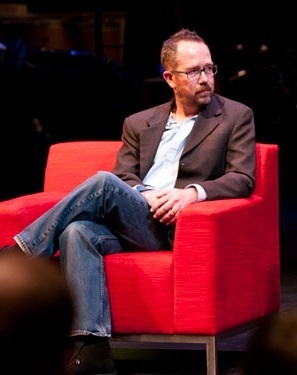 Breaking Taboo: Young Adults Speaking Openly about Mental Illness— Psychology professor Jason Schiffman, staff member Nicole Mooney and graduate students Eryn Bentley and Danielle Denenny will grow their mental health programs designed to reduce stigma, including awareness panels, campus flashmobs, student speaker training and art exhibits. Breaking Taboo will also conduct an empirical evaluation of a film chronicle the journey of UMBC students with mental illness to assess its impact on increasing empathy, reducing stigma and encouraging treatment. TEDxUMBC— Undergraduate students Rebecca Behnke and Niranjani Chidamber, graduate student Ioannis Balanos, staff members Delana Gregg and Dinah Winnick and faculty member Stephen Freeland will organize TEDxUMBC, an event that will feature “ideas worth spreading.” The theme of TEDxUMBC is “Reaching New Heights” and will present talks by UMBC students, faculty, staff, alumni and community members with fresh and multidisciplinary ideas. After the event, the talks will be recorded and shared to engage the community. Springfield Woods Stewardship Project— Timothy Nohe, Matthew Baker and Colin Studds will work with Miriam Avins from the Baltimore Green Space and students from the Friends School of Baltimore to geo-tag visual and audio data for Springfield Woods in Baltimore. The geo-tagged information, as well as videos on conservation, native trees, invasive species and smart tree planting will then be incorporated into a website. The project will connect art, experts and volunteers to urban forests and foster stewardship of the Springfield Woods. Kinetic Sculpture Race Team— Students in Steven McAlpine’s Kinetic Sculpture Team course (INDS 430) will build, test, and race a human-powered (kinetic) sculpture representing themes of sustainability. Students will research existing kinetic sculpture designs, how kinetic sculpture races are organized, how to plan a project timeline, and the role of universities in maintaining the vitality of urban centers such as Baltimore. Baltimore Traces—Baltimore Traces is a collaborative teaching innovation that brings several courses together to work with the Center for Emerging Media (CEM), a Baltimore non-profit founded by radio host Marc Steiner. It builds on previous interdisciplinary collaborations including Mill Stories (Michelle Stefano and Bill Shewbridge) and Mapping Baybrook (Nicole King and Steve Bradley) Students involved in the project will contribute to producing audio and video oral histories focused on Baltimore residents and neighborhoods. Public events have been central to the project, and this semester the project is planning an event at the Chesapeake Arts Center on April 28. This event will feature a screening of “Mill Stories: Remembering Sparrows Point Steel Mill” in addition to a community discussion of possible futures. Backyard Animal Behavior Workshop— Students in Tory Williams’ course will form small teams and embark on group projects that involve delivering interactive presentations on animal behavior to students at Lakeland Elementary/Middle School in Baltimore City. Each college student within a group will be responsible for different aspects of the project (e.g., communicating with Lakeland teacher(s) to best cater presentations to grade-levels, developing hands-on activities for Lakeland students for an active learning experience, documenting presentations to be shared with both the Lakeland and BreakingGround communities). Students will gain an aesthetic appreciation for contributing to the local community and the skill of ‘learning through teaching.’ Goals for the Lakeland students include having fun, learning about science, and increasing motivation to explore science. Applied Sociology: Putting the Sociological Imagination Into Practice Locally— Marina Adler’s course (SOCY 698) will offer students the opportunity to conduct action research with local communities on issues of access to healthy food. Students will research projects addressing food deserts, food security, and environmental problems. This research targets the intersection of local social inequalities, public health issues, and social change. Students will collect data through various methods in research teams; volunteer; document community needs; develop action plans; and make recommendations for change. 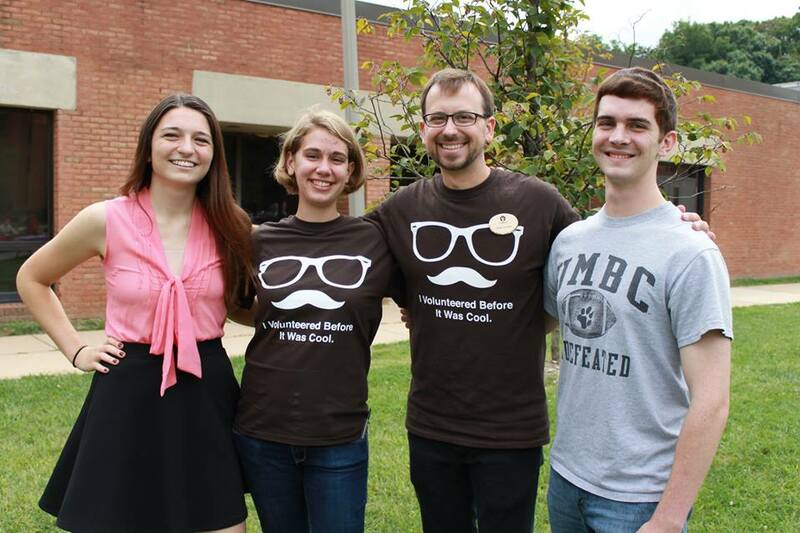 Discover Food: Seed to Table II— In Kelsey Donnellan’s course for students in UMBC’s SUCCESS program (a four-year independence program for students with intellectual disabilities), students will build on food and nutrition skills developed in a previous course. The students will practice safe food handling, apply advanced recipe writing, develop a class cookbook, and improve transferable skills in the kitchen. This will be truly integrated class with SUCCESS students and their peer mentors, because through this process all students bury themselves as seeds of change. 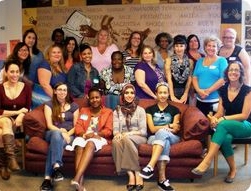 Returning Women Students Peer-to-Peer Mentoring Program— Returning women students (or adult learners or mature students) are 25 years or older and completing their first undergraduate degree face a unique set of transition challenges. The Women’s Center launched the Returning Women Students Peer-to-Peer Mentoring Program to address these challenges by creating a learning community of returning women students. 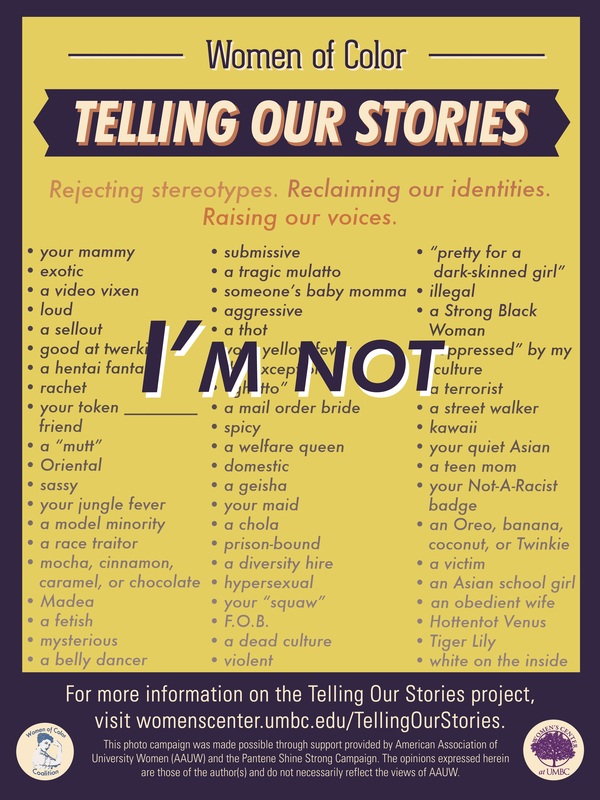 Telling Our Stories: I’m Not/I Am— The Women of Color Coalition will partner with the Women’s Center to develop and implement a spring project aimed at combating racialized gender stereotypes, specifically targeting harmful biases against women of color students. The project will 1) raise awareness and launch a critical dialogue about racialized gender stereotypes on campus and in the community at large, and 2) empower women of color students to resist these limiting stereotypes and create their own counter-narratives. The project will begin with a visually striking poster and social media campaign featuring women of color students rejecting racialized gender stereotypes that they’ve encountered. The “I’m Not” campaign will be featured prominently on campus and posted on social media. Subsequently, a series of workshops led by local artists and activists will help participants develop various skills to tell their own identity stories through song-writing, poetry, story-telling, and other forms of artistic expression. LIMA: The Community Arcade Machine— Students working together through the Interdisciplinary Studies program will develop a video game console and multi-player games that encourage collaboration and build community. The first console will be placed on a residence hall floor, and the project leads will assess the console’s impact on the floor’s culture and students’ experiences with an eye toward developing additional consoles and games for other campus locations. Video Stories of Urban Change— Kate Drabinski will add video elements to the stories she tells on her blog, whatisawridingmybikearoundtoday.com. The goal of this blog has been to capture moments in Baltimore’s history and present and to connect place-based reflections to larger questions of how a city comes to be itself. The video features will help tell stories of movement and change over time. 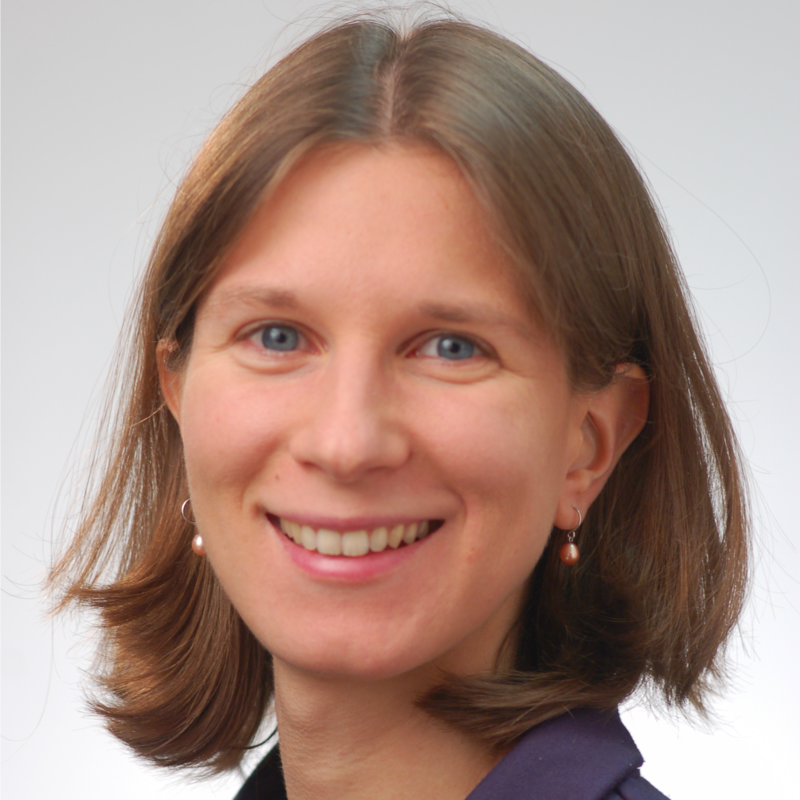 Dr. Drabinski incorporates her blog into her Gender and Women’s Studies courses.